The August 1920 “Special Bolshevik Number” of the IWW’s One Big Union Monthly had published a lengthy appeal to the IWW by the Executive Committee of the Communist International, which explained: “Soviet Russia is on strike against the whole capitalist world. The social revolution is a general strike against the whole capitalist system. The dictatorship of the proletariat is the strike committee of the social revolution.” This appeal had an impact on the IWW membership-after he finished reading it, Big Bill Haywood exclaimed, “Here is what we have been dreaming about; here is the IWW all feathered out!” But support for Soviet Russia and Communism remained a very controversial question in the IWW. The results of the referendum, announced in mid-December, shortly after Cannon’s article was published, were murky. The proposal for “unconditional affiliation to the Third International” lost, 602 votes to 1658. 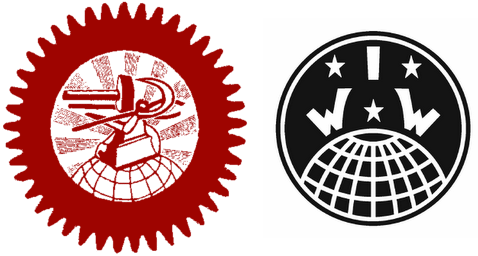 But a motion for affiliation so long as the IWW would not have to take part in “parliamentary action” was passed. In any case, the General Executive Board declared the proposal to affiliate to the Third International defeated, and the 13th IWW Convention, which met in May 1921, declared the referendum null and void. There is also this, titled 'To Members of the IWW: Unite Your Forces Upon a Program of Revolutionary Class Struggle with the Red International of Labor Unions for Proletarian Dictatorship!' by something called the Red International Affiliation Committee. Open Letter to V.I. Ulianov (N. Lenin) in Moscow from the Communist Unity Committee in New York[, circa Feb. 28, 1921 ---- Published in Communist Unity [New York], v. 1, no. 5 (March 15, 1921), pp. 2-4.